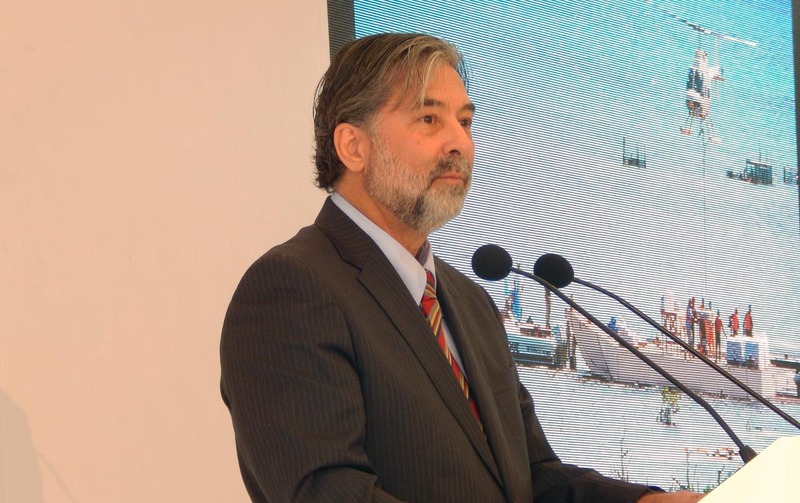 Dr. Alfonso Aguirre Muñoz, former Director General of the Ecology and Conservation of Islands Group (GECI) from 2002 to 2017 and currently Strategic Issues Counselor, was recognized for his career by the Pacific Seabird Group (PSG), an international society Ornithologists from 16 countries consolidated 46 years ago, which is dedicated to the study and conservation of marine birds of the Pacific Ocean. The recognition was delivered during the 45th PSG Annual Meeting held in La Paz – Baja California Sur from 21 to 24 February 2018. Last Friday, February 23, PSG awarded the “Special Achievement Award 2018” to Dr. Alfonso Aguirre Muñoz before 160 ornithologists from countries throughout the Pacific Basin, including countries all around the Pacific Ocean such as Japan, the United States and New Zealand. This prestigious award recognizes people who have achieved important and significant achievements in researching and conserving seabirds. Such is the case of Dr. Aguirre and the 100 young Mexican professionals who make up the GECI, who work in the conservation and restoration of the islands of Mexico and the numerous species of seabirds that depend on them as key nesting sites. It is an important and sustained effort by Dr. Aguirre, the GECI, and all its partners, including the World Wildlife Found (WWF) and Carlos Slim Foundation (CSF) Partnership. Mexican islands and marine waters are habitat for one of every three of the seabird species existing in the world; i.e. of 346 species in the world, 115 species nest in Mexican islands and live in the national seas, especially in the Ocean Pacific and the Gulf of California. “We owe to seabirds to take us to beautiful places, remote seas, fabulous islands, spaces of purity and freedom, which in these difficult times are so much needed; we also owe them to introduce us to appreciable colleagues at work, who become partners, who become friends, who become best friends; and above all, we must thank the birds, as working with them give us a well-founded reason for hope,” said Dr. Aguirre when receiving the award. The GECI receives support from the WWF-CSF Partnership since six years ago, with a comprehensive and strategic approach, conserve and restore islands of all the seas of Mexico. Currently, through the project “Integral restoration of the Islands of Mexico for the conservation of endemic and native species”, important management actions agains invasive alien species, particularly mammals, are implemented in: Isla Guadalupe, in the Pacific Ocean; the Socorro and Clarión islands, part of the newly created Revillagigedo National Park; and Isla Espíritu Santo, in the Gulf of California. In addition, a National Program for the Conservation and Restoration of Seabirds is implemented, serving more than 30 species of seabirds and 25 islands. This program has filled the information gap on the status of seabird populations and has allowed the recovery of important colonies of nesting. To date, thanks to the efforts of GECI and its partners, 22 colonies of more than eight species were recovered after having been extirpated due to predation by exotic mammals on islands at the reserve of the Pacific Islands Biosphere of the Baja California Peninsula and Guadalupe Island. This means that 75% of the nesting colonies that were extirpated during the 19th century have been restored. This was a historical and unprecedented event worldwide, which was recognized and celebrated by the PSG community during the 45th Annual Meeting.